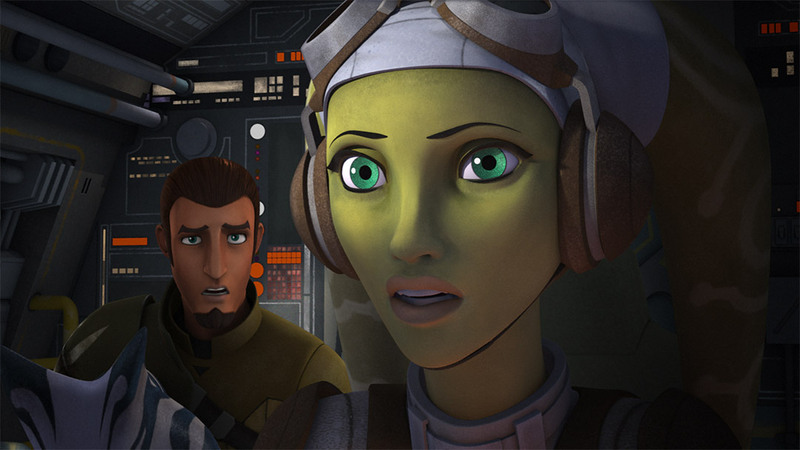 From a Certain Point of View: What’s the Best Episode of Star Wars Rebels? One of the great things about Star Wars is that it inspires endless debates and opinions on a wide array of topics. Best bounty hunter? Most powerful Jedi? Does Salacious Crumb have the best haircut in the saga? In that spirit, StarWars.com presents From a Certain Point of View: a series of point-counterpoints on some of the biggest — and most fun — Star Wars issues. In this installment, two StarWars.com writers mark the anniversary of the series finale of Star Wars Rebels, one year ago today, by defending their favorite episode in the entire series. 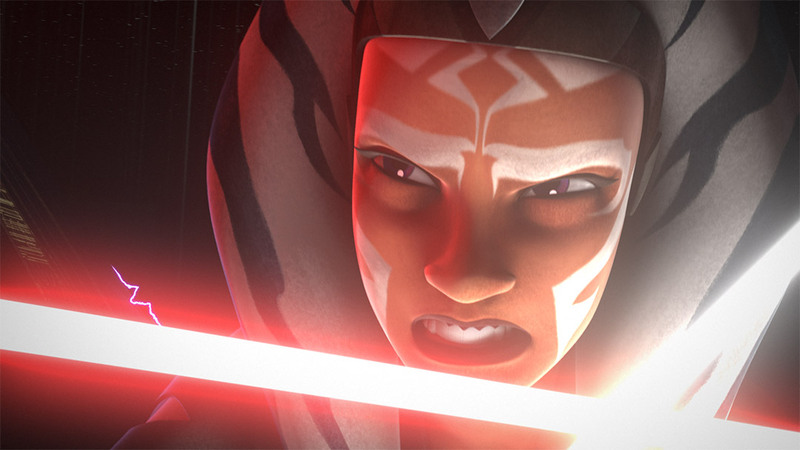 “Twilight of the Apprentice” is the best Star Wars Rebels episode, says Amy. With those words, Ahsoka Tano stood opposite Darth Vader, a grim and determined expression on her face. She’d seen the undeniable truth: Anakin Skywalker, her former master and friend, was no more. Her pain was our pain. Their reckoning was an encounter Star Wars: The Clone Wars fans anticipated from the moment the TV series was announced. But it’s only partially why “Twilight of the Apprentice” is the best episode of Star Wars Rebels. Ahsoka’s character grew leaps and bounds in front of our eyes over the two-part Season 2 finale. She traveled to Malachor and confronted Maul before she crossed paths with Darth Vader. And once she battled the Sith Lord, she broke through her anger and promised she wouldn’t leave him again — even if no trace of Anakin remained. Every decision she made in the episode rang true and had an effect upon her (which we’d eventually see in Season 4) and the crew of the Ghost. The superb writing extended to Ezra, Kanan, and our old friend Maul. This was not the same Darth Maul we knew. Not exactly. He was older, with a jaded attitude toward the Sith. Yet, he was more like Palpatine than ever, manipulating Ezra into trusting him and doing his bidding. It’s Maul at his most haunting as we watch this familiar face scheming anew, downtrodden but certainly not defeated. Then we have Ezra and Kanan and their continuing evolution as makeshift Padawan and Jedi Knight. Kanan constantly questioned himself as a teacher to this point in the series, and when Ezra placed his faith in Maul, it gave weight to all of Kanan’s self-doubt. Their relationship changed permanently after “Twilight of the Apprentice.” Kanan lost his eyesight because of Maul, a physical and mental blow, and Ezra found a new respect for Kanan. The dynamic shifted between them as they departed Malachor. They became closer; they both matured. And as usual, Kevin Kiner’s gorgeous compositions underlined each emotional beat. “It’s Over Now” and its heroic, melancholy tones played over the last few scenes; the audio cue helps a perfect episode stick a perfect landing. “The Siege of Lothal” is the best episode, says Jamie. I’m a firm believer that the beginning of the story is more interesting than the end. Where characters begin their journeys is far more compelling than where they end up. Sure, the road can be engaging and dramatic and inspiring, but the promise of an unknown trip that lies ahead is downright exhilarating. So, when tasked with naming the best episode of Star Wars Rebels, my natural inclination is to return to the beginning of the series. And I very nearly chose “Spark of Rebellion,” which kicked everything off. However, I’m instead going with the two-part story that began the second season — “The Siege of Lothal” — which, as it turns out, provides a convenient bookend counterpoint to Amy’s choice. The first season of Star Wars Rebels introduced the characters, established their corner of the galaxy, and explained — to a certain degree — how their story fit into everything we already knew. But the stories were still mostly isolated. The show felt like an island in the Star Wars universe. Ezra, Kanan, and the gang mostly stayed on Lothal and assumed they were fighting a very small war against the Empire on their own. The second season kicked down the door of storytelling possibilities, and it all began in “The Siege of Lothal.” The crew of the Ghost is finally forced to leave Lothal. They recognize they’re part of a much larger rebellion, and the show’s horizon widens exponentially. “We’re fighting a bigger fight. But it’s still the right fight,” says Hera. “Best” is such a subjective concept, but “The Siege of Lothal” succeeds so very well at almost everything is sets out to do. After a season of standalone stories, this episode catapults Star Wars Rebels into the galaxy we all know and love. We’re given solid connections to both The Clone Wars and the first six episodic films, and we’re set up for a longer, more complex story that has the freedom to play out over many episodes. As great as the core cast is here, it’s Darth Vader who steals the episode and brings it to the next level. This isn’t the obsessed, primed-for-redemption Vader we know from the original trilogy. This isn’t the reckless, conflicted Anakin Skywalker we know from the prequels and The Clone Wars. This is Darth Vader in all his terrifying glory. James Earl Jones delivers a straight-up evil Vader we hadn’t yet seen (and wouldn’t until the climax of Rogue One). Our heroes feel like they’re in genuine peril. I defy you to watch Vader’s effortless fight against Kanan and Ezra — the scene where he lifts the crashed walkers off himself in particular — and not get chills. And with this episode, Ahsoka finds her singular purpose, which could only belong to her. The “meeting of the minds” and mutual recognition she has with Vader is one of the episode’s most powerful scenes, and it sets up so many storytelling possibilities. Plus, we’re blessed with the magnificence of Lando Calrissian and Billy Dee Williams. Need I say more? “The Siege of Lothal” makes us giddy with anticipation. It sets the stage for so much of the action and drama to come. Which is why this two-parter is the best the series has to offer. Because of the possibilities it sets up. Because of the connections it makes. Because it raises the stakes. Because it shows us what Star Wars Rebels wants to be — a show that tells meaningful stories about relationships, oppression, and resistance on an intimate level. And because it establishes the beautiful, emotional, thrilling ride the series would take us on for the next three seasons. Jamie Greene is a publishing/book nerd who makes a living by wrangling words together into some sense of coherence. He’s also a contributor to GeekDad and runs The Roarbots, where he focuses on awesome geeky stuff that happens to be kid-friendly. On top of that, he cohosts The Great Big Beautiful Podcast, which celebrates geek culture by talking to people who create it. With two little ones and a vast Star Wars collection at home, he’s done the unthinkable: allowed them full access to most of his treasure from the past 30 years, opening and playing with whatever they want (pre-1983 items excluded).